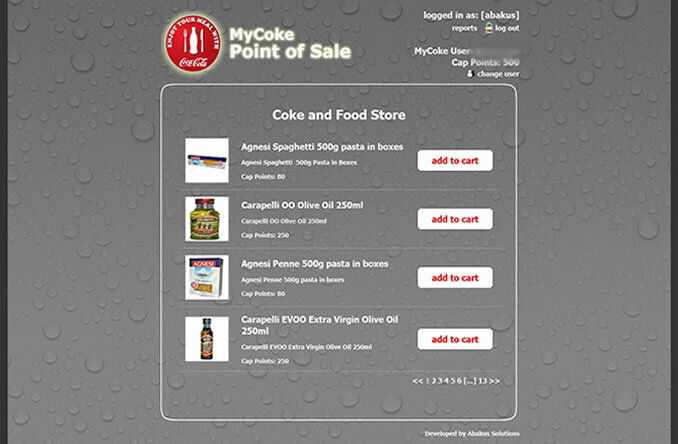 For another year running, General Soft Drinks Limited, local bottlers for Coca-Cola have trusted Abakus Labs to build the software for their innovative campaigns. As the company went retro and invited people to start collect caps to exchange for food items, Abakus Labs built a solid, multi-point system that allowed the company's network of redemption offices to manage cap points and issue vouchers on the fly. These vouchers can then be used to collect the redeemed item from one of the partner supermarkets around Malta and Gozo. Attard, Birgu, Gudja, San Gwann, Marsa, Birkirkara, Paola, Zejtun, Marsaskala, Kalkara, Siggiewi, and Gharb Gozo.